This week represents the final opportunity for players to get match practice before the Australian Open with nine of the world’s top 15 choosing to play the Apia International in Sydney. Once again, it’s one of those draws that has produced many first round matches that… you cannot believe are first round matches. I’m fully expecting predictions to be DREADFUL this week hahaha… Note that the main draw kicks off on SUNDAY. *Note – Kvitova and Radwanska have both pulled out of Sydney so this post has been edited. 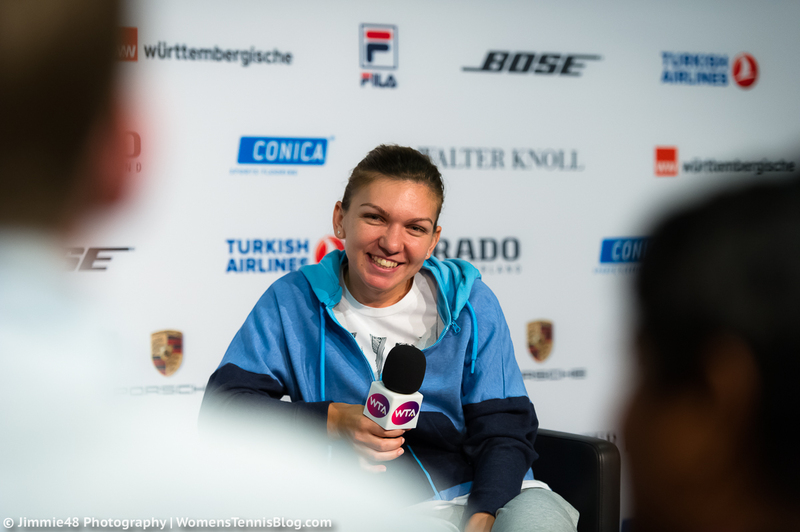 Simona Halep (1): With a bye in the first round, Halep will open her campaign in the second round where she will play either Kristina Mladenovic or Caroline Garcia. The world number two, faced with the prospect of playing Victoria Azarenka in the second round, was forced to pull out of Brisbane with an achilles injury. This is something that has bothered Halep for quite some time. She has been practising though with Darren Cahill in Sydney so i’d expect her to at least play a match. Halep is the type of player who needs matches to play her way into form. As to how far she can go, the injury remains a concern. Agnieszka Radwanska (2): Last year’s WTA Finals champion began 2016 right where she left off, winning Shenzhen and cruising through the draw without dropping a set. While it was an impressive start, Radwanska didn’t beat a player inside the world’s top 90. Her first match in Sydney will be against either Sam Stosur or Roberta Vinci. While playing against higher ranked players will be a good test before the Australian Open, fatigue may be a factor if she goes deep in Sydney which you would expect based on the draw and her recent form. Petra Kvitova (3): Defending Sydney champion, Petra Kvitova, will be seeking matches before Melbourne after she was forced to pull out of her first round match in Shenzhen against Saisai Zheng with a stomach bug. Kvitova opens against Sabine Lisicki, which should be a big-striking affair. Lisicki, still on the comeback from a knee injury, lost all of her singles matches at the Hopman Cup. The courts suit Kvitova’s game and she’s always one for going on a run when you least expect it… i’d fancy her to do well in Sydney. Angelique Kerber (4): Starting the year with a bang, Angelique Kerber reached both the singles and doubles finals in Brisbane. However, she failed to turn the tables on Azarenka in the final, losing, 6-3 6-1. Kerber had started the match in encouraging form, but committed a lot of unforced errors towards the end. There was definitely a sense of Kerber looking to be more aggressive in Brisbane and all in all, it was a great first week. The German player had stated in press she wanted more matches before Melbourne; in the first round of Sydney she takes on Elina Svitolina. Kerber leads the head-to-head, 3-2 and won their last match in Stanford in 2015, 6-3 6-1. Karolina Pliskova (5): The main topic surrounding Karolina Pliskova is her continued pursuit to play every possible tournament that may exist. After implying that she will change up her schedule in 2016, that hasn’t been the case so far; she played an extended run of the IPTL and opened at the Hopman Cup where she won two of her three singles matches. Burn-out is still a concern with Pliskova, but she did end 2015 in great form, reaching the final of Zhuhai and winning two key rubbers at the Fed Cup final. Her first round match against Ana Ivanovic is probably the pick of the bunch… more on that later. Timea Bacsinszky (6): Joining the ASICS team for 2016, Bacsinszky will be seeking her first win of the new season when she plays Anna Karolina Schmiedlova in the first round of Sydney. Both players suffered crushing first round losses in Brisbane; Bacsinszky won just three games against an in-form, Anastasia Pavlyuchenkova. While everyone had reason to be rusty, Bacsinszky can be cut some slack as she did end 2015 with a knee injury. This will be a huge match for both with one player going into Melbourne without any wins. Schmiedlova has won their two previous meetings, both 7-5 in third sets. Carla Suárez Navarro (7): After a rocky end to 2015, Carla Suárez Navarro pressed the reset button in 2016 and began with a decent run to the semi-finals in Brisbane. She went 2-0 in three set matches including a 7-5 third set victory over Varvara Lepchenko in the quarter-finals. The Spaniard spoke in press in Brisbane about looking to be more aggressive and opened up more about 2015, pointing out the loss at Wimbledon (to Jelena Ostapenko, 6-2 6-0) was a real blow to her confidence. She will play Sara Errani in the first round of Sydney; Errani leads their head-to-head, 7-3, having won their last three completed matches. Belinda Bencic (8): BB opened her 2016 campaign with a ruthless display against Sara Errani, winning, 6-1 6-2, and breaking the Italian player’s serve on all eight occasions. As her draw seemed to open her, Bencic surprisingly lost out to Samantha Crawford in the second round, 7-5 7-5. The Swiss player has already made a better start than she did in 2015, having gone winless in Australia last year, but will be keen for more matches. She plays a qualifier in the first round; if she wins that, the Sydney GOAT, Tsvetana Pironkova or Lesia Tsurenko, will await her in the second round. Speaking of Tsvetana Pironkova, she’s always one to watch out for in Sydney! Pironkova has won 14 matches in her last two appearances in Sydney, coming through qualifying on both occasions to win the title in 2014 and reach the semi-finals in 2015. Also, i’m intrigued to see who Halep plays in the second round; i’d quite fancy Caroline Garcia to have a decent run if Halep is still struggling with the injury. She’s always a flight risk when serving out sets and matches, but Garcia won all three of her singles matches at the Hopman Cup which was an ideal way to start the year. Daria Gavrilova will also be one to watch after a wonderful week at the Hopman Cup where she won the tournament with partner, Nick Kyrgios. While she may be fatigued, the excitement from that run could propel her through a few rounds as she has a workable draw, opening against a qualifier with the winner playing Schmiedlova or Bacsinszky in the second round. They are all noteworthy but i’m most intrigued by Ivanovic v Pliskova, which will take place on Sunday. Ivanovic opened the year with a first round loss in Auckland to Naomi Broady. Ivanovic crumbled at the ends of both sets, making a horlicks of the match point when she was in complete control of the point. Pliskova has been playing better and leads the head-to-head, 2-0. Pliskova reached the Sydney final last year while Ivanovic is playing here fir only the second time since 2008. I could honestly see it going either way but i’m leaning towards Pliskova. Just received a pleasant surprice from @SydneyTennis , granting me with a MD WC! Yay! 😊 Thank you! Who do you think will win Sydney? Have your say in the tournament poll below and as always, comments are appreciated! January 9, 2016 in Sydney, Tournament Preview, WTA. Yup, another all-French battle for Kiki. Thanks James:) well this is my home town event:) I still have a question mark regarding Halep who said she still feels pain with her achilles tendon problem even practicing in Sydney? remember last year she pulled out of Sydney due to injury.Kerber had a great tournament at Brisbane,personally speaking I feel that is enough match play before the AO,anyway that is her decision.Kvitova to me looks like she has lost some weight? Great first rd match between Ivanovic who accepted a WC into Sydney and the runner up from Sydney last year Pliskova,I am also leaning towards Pliskova. BTW the matches I watched at the Hopman Cup from Garcia I am feeling positive that she can have a good tournament in Sydney,her serve was very consistent. Am I the only one who thinks Pliskova may get nervous defending her final run? Hmm perhaps, I’ve got her to the quarters in my slightly wacko draw. 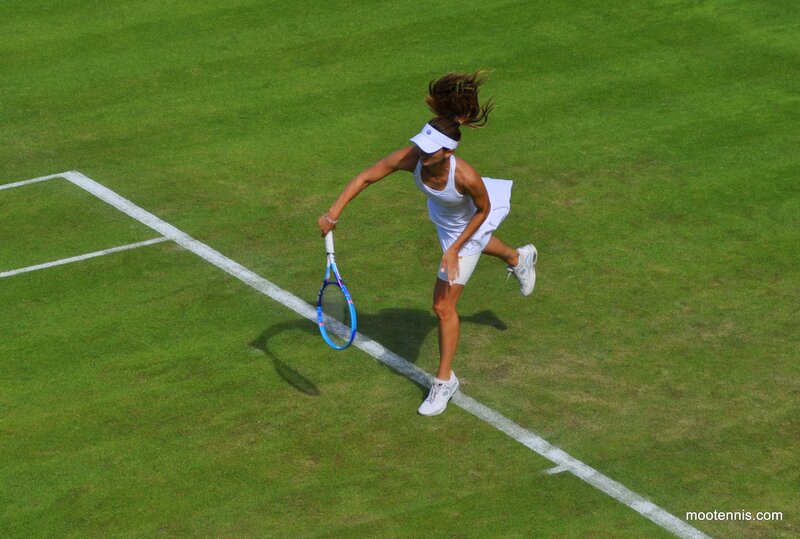 Who are you rooting for… Pliskova or Ivanovic?! I was happy to see whoever win. Not a good start to the year from Ana. I knew the IPTL was a bad idea for her game! I’d REALLY like to see Caroline Garcia win this week. Have a great week, Margaret! 🙂 Angie kept saying in Brisbane press she wanted to get as many matches as possible before Aus Open so imagine she will play. Might want to get over that Vika loss as well. It must be tough to find a balance! Watched snippets of the Hopman Cup, just too much to follow in the first week. I’ve put Garcia as my semi-finalist which I think is hopelessly optimistic! Just gone for a risk since I’m unsure of Halep and her injury, and she does have a habit of pulling out of tournaments if she’s got an injury concern. Somehow, I do NOT see Halep winning any titles for the next few months, sorry to say :(. She pulled out of Brisbane with a left Achilles Tendon injury [usually can take up to five months to heal if you undergo surgery] and she’s playing again in Sydney this week?! Probably not the best decision to play while injured. At least Serena Williams had the common sense and made the right decision to withdraw from the Hopman Cup and recover for the Australian Open to give herself more time to get ready for it and add a 7th Australian Open title to her name. Petra Kvitova,defending champion withdraws still citing gastro bug,she has not fully recovered.Hopes to be back next year. Aga Radwanska withdraws from Apia,citing left leg injury. I’m laughing haha both my finalists have pulled out! Good start for CarGar. A tough start for Halep playing someone who has won four matches already. Yepp yepp for Garcia. I’ll be one very happy bunny if Svetlana, Pliskova and Garcia all have good weeks. Kuznetsova was awesome in her first round match. Her form just seems to disappear at random times though. I firmly believe she still has it in her to have a stellar year though- she looks very fit and happy at the moment. Kuznetsova’s draw is pretty favourable and Garcia will have chances against Halep… Could be a good week for your favourites. Pliskova d Ivanovic 64 62 well done Pliskova! Coming from an injury and facing Garcia in second round.I think Halep has a very touugh task.Garcia is in a very good form and Halep is short of any match practice.Garcia can/will win. Ivanovic dosen’t even deserve to be in top 100 .She can lose a game from no where and at the same time can’t even show some resilience.She is a proper case for first round exit in AO. Agree that Garcia has a good shot against Halep. This would make a great scalp for Garcia if she can stay focused and calm in the big moments. A win like this could send her confidence soaring.